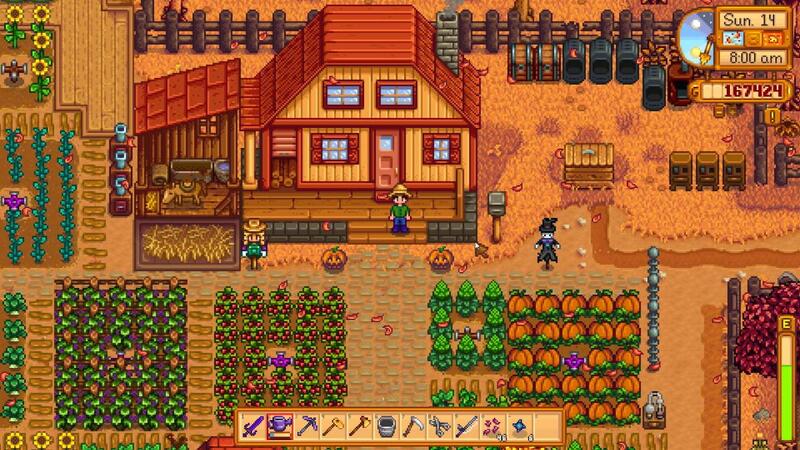 Stardew Valley has landed on the Nintendo Switch, introducing an entirely new set of players to the game's peerless simple farm life action. Aside from tracking down rare ingredients and diving into the mines to score some valuable ore, burgeoning farmers are likely caught up with laying out their land and seeking out the right seeds in order to make the biggest profit. Though the given choices of fruits and vegetables might seem confusing at first, there are a few choices for seasonal crops that provide more bang for the buck over the others. 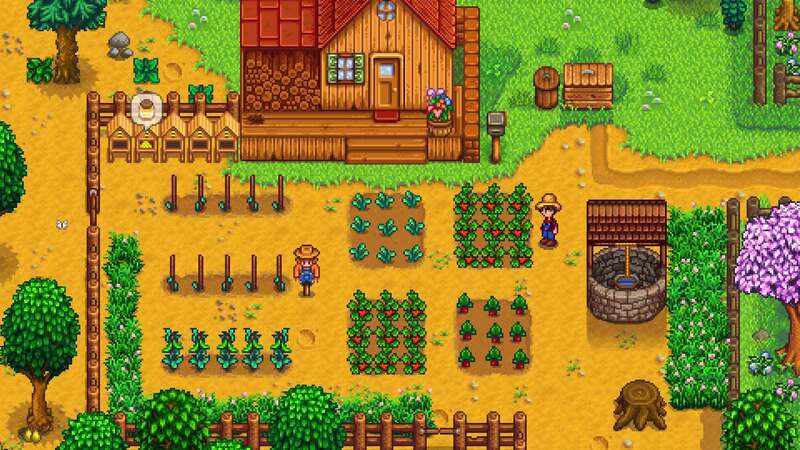 Don't waste all that time tilling and watering for nothing -- maximize your financial gains by planting and harvesting the most profitable crops in Stardew Valley. 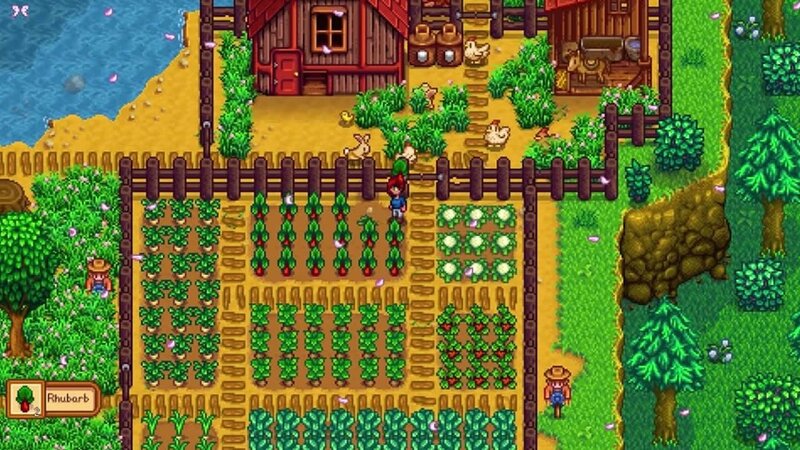 Spring time in Stardew valley is a time when players can take some extra time to consider where they want to plant crops for the rest of the year. Though the bulk of that work should likely be handled in winter, oftentimes buying sprinklers and upgrading tools can put a drain on the player's funds. As such, many of the seeds during spring are cheap to buy with relatively-low profits when compared to crops in other seasons. • Strawberry - 500 gold profit per individual crop. Can be obtained during the Egg Festival on Spring 13. • Rhubarb - 240 gold profit per individual crop. Seeds can be purchased from the merchant in The Desert. • Cauliflower - 190 gold profit per individual crop. Seeds can be purchased from Pierre's General Store. • Green Bean - 180 gold profit per individual crop. Plants continue to produce green beans every three days. Seeds can be purchased from Pierre's General Store. • Potato - 175 gold profit per crop. Has a random chance to produce extra potatoes. Seeds can be purchased from Pierre's General Store. • Kale - 160 gold profit per individual crop. Seeds can be purchased from Pierre's General Store. By summertime, players should hopefully have a sizeable amount of profits with which to buy seeds. Aside from planting those vegetables which might be needed for things like quests or the Community Center bundles, players should focus most of their attention on Blueberries, as this crop can yield significant profit throughout the season. • Blueberry - 880 gold profit per individual crop. Has a chance to drop addition blueberries at harvest, and continues to produce blueberries every four days. Seeds can be purchased from Pierre's General Store. • Starfruit - 800 gold profit per individual crop. Can be purchased from the merchant in The Desert. • Hops - 365 gold profit per individual crop. Can be brewed into beer. Seeds can be purchased from Pierre's General Store. • Melon - 240 gold profit per individual crop. Seeds can be purchased from Pierre's General Store. • Tomato - 283 gold per individual crop. Has a small chance to spawn additional tomatoes and harvest, and continues to produce tomatos every four days. Seeds can be purchased from Pierre's General Store. • Hot Pepper - 280 gold profit per crop. Has a chance to drop additional peppers at harvest, and continues to produce peppers every three days. Seeds can be purchased from Pierre's General Store. Now that players have had all summer to plant the season's most profitable crops, money shouldn't be an issue by fall. That's a good thing, because fall is when players can grow Cranberries, one of the most profitable common crops in the game. If done correctly, players should earn more than enough money from Cranberries to make substantial upgrades during Winter and still have cash left over to start the process anew the following spring. • Rare Seed - 2000 gold profit per individual crop. Can be purchased from the Gypsy Wagon south of the farm. • Cranberry - 1101 gold profit per individual crop. Each plant produces two cranberries with a chance to spawn additional cranberries. The plant also continues to produce cranberries every five days. Seeds can be purchased from Pierre's General Store. • Pumpkin - 440 gold profit per crop. Seeds can be purchased from Pierre's General Store. • Grape - 420 gold profit per crop. Continues to produce grapes every three days. Seeds can be purchased from Pierre's General Store. • Artichoke - 390 gold profit per crop. Seeds can be purchased from Pierre's General Store. • Beet - 320 gold profit per crop. Can be purchased from the merchant in The Desert.